The eagle is and always has been a bird that fascinates us; it’s so big, so powerful – and so beautiful, soaring across the sky with such ease and confidence! As a result, it turns up in symbolic form in many theologies and native belief systems, with a number of different meanings. The strongest feelings about this bird are probably the Native American beliefs with regard to the Golden and Bald Eagles, the two species found in North America, but they are far from the only people to admire them so much. 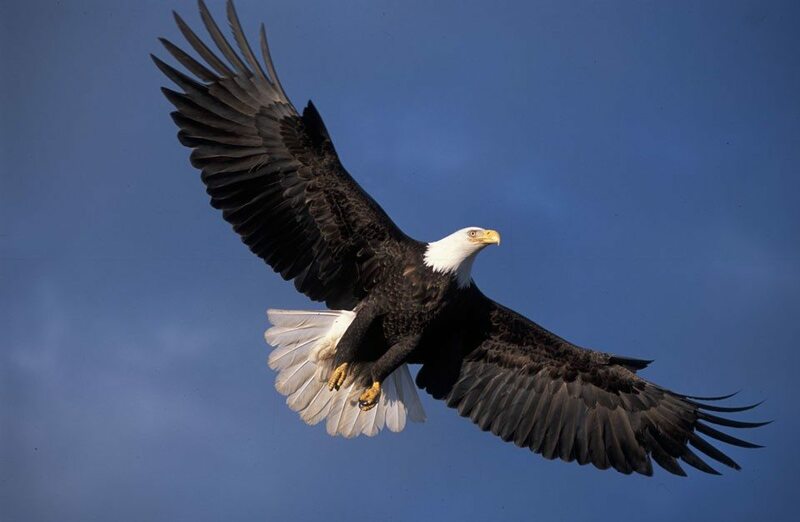 The eagle characteristics is what sets it apart from all other birds in the sky. 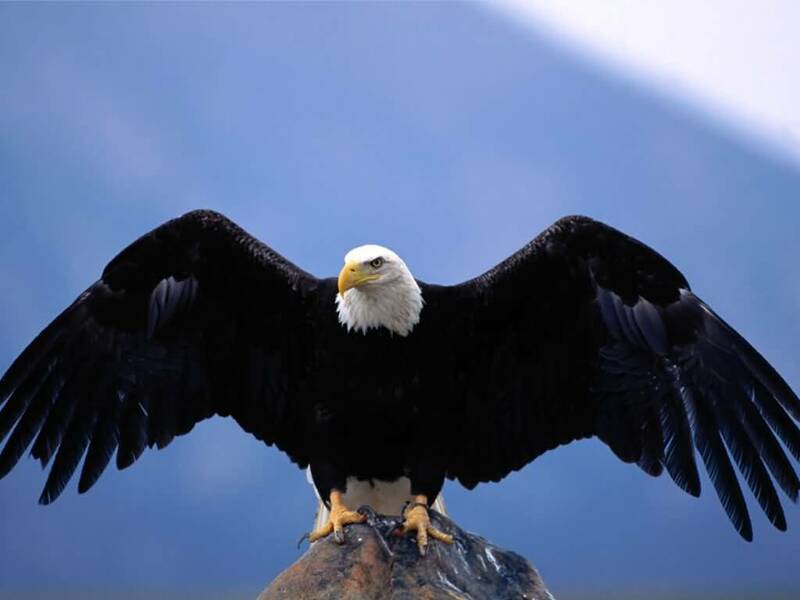 1 – Because of its size and sheer majesty, the eagle is, of course, seen as the ‘king’ of birds. It is therefore not surprising that it has been the symbol of rulers (and gods!) for literally thousands of years. The ancient Romans and Greeks made it the companion and symbol of Zeus/Jupiter, the king of the gods, and the plains tribes of the Native Americans thought it was the earthly incarnation of the great Thunderbird spirit. 2 – Also on the ruling theme, as a top avian predator, the eagle is the ‘ruler of the sky’ and the Native American legends claim the beating of the bald eagle’s wings brings down rain from the skies, while lightning bolts shoot from its eyes. 3 – Those super sharp eyes also give a strong message of mental strength and agility, and immensely clear vision. After all, an eagle can spot a rabbit moving nearly a mile away, or a fish swimming under the water from several hundred feet above – that sort of clarity of vision is something we can only dream of, but that shouldn’t stop us from trying for it. 4 – The mythical bird, the Phoenix, is modelled on the eagle, and through this, in a reversal of attribution, the eagle is given the attributes of rebirth and baptism. In the bible, as a symbol of God, the eagle is given this plus omnipotence and sometimes symbolizes the strength of God’s faith, presumably due to its own strength; hence it often appears as the back of a pulpit lectern or as decoration in a church, on the font or elsewhere. It is also occasionally made a symbol of Christ, in that it is a conqueror of serpents – and, due to its ability to fly upward, a symbol of his ascension. 5 – Christians also make the eagle a symbol of various other things – firstly, connecting an eagle’s soaring with prayer; then, because Aristotle claimed it could look directly into the sun on flying upwards, it became symbolic of contemplation and spiritual knowledge; and finally (and very confusingly), it is the symbol of both pride, one of the seven deadly sins, and justice, one of the four cardinal virtues! 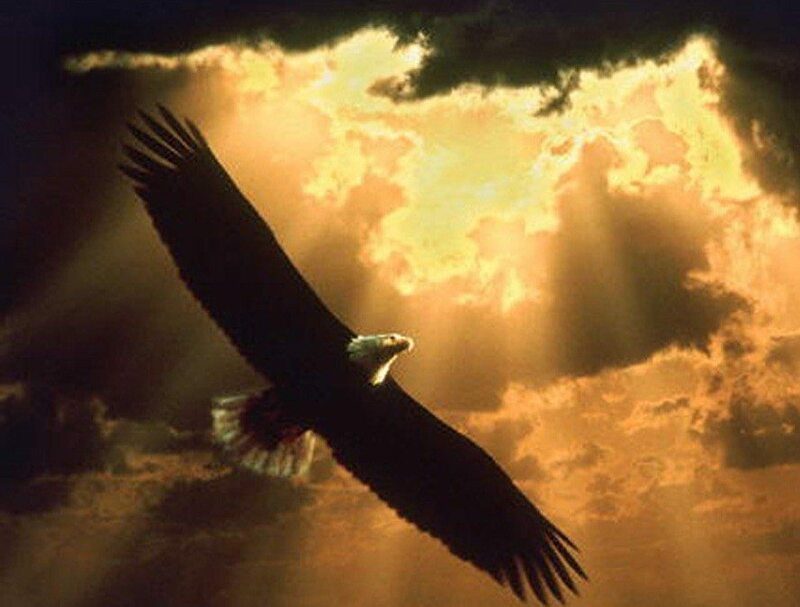 6 – Native American wisdom sees virtues in the eagle’s behaviour, too. For instance, when it hunts, it does so not only with great skill but with efficiency – “work smarter, not harder”, as the current phrase has it, and one will be able to soar as high in life as the Eagles do in the sky! 7 – The Greeks also saw the eagle as a ‘solar’ animal, symbolic of virility as well as authority and rulership. Shown with a thunderbolt in each talon, it could be seen as symbolising sexual energy as well as the strength, courage and fearlessness of a warrior. 8 – The Celts associated the eagle with water, perhaps because they would have seen both sea eagles and other species fishing off their coasts. This would have included watching the eagle’s amazing ability to see down into the water clearly from enormous heights, something that might become associated with a large part of their culture. 9 – In Alchemy, the eagle was seen as a representation of the original matter at the start of the alchemical process; for the alchemists, the eagle fans the fire with its wings, encouraging the development of the new matter as it is created from the original matter. “If we destroy its habitat and thus cause it to be removed from our world permanently … It would be our loss”. 10 – In Aztec and Mayan lore, the eagle is the carrier of the veil of night, spreading darkness over human awareness at the end of each day, and of course it is part of the dawning sun, the magnificent celestial power that provides shining light over the world again. It’s not hard to see how these many symbolic associations have been made with this glorious creature, and there will probably be much more made in future years, too. These unique eagle characteristics sets it apart from all other birds.